The following biography is transcribed from The First 40 Years: John C. Campbell Folk School by Pat McNelley. She was fortunate to have been present when Cecil Sharp, the well-known English collector of folk songs, saw for the first time at Pine Mountain (on the terrace behind Far House), this running set. It was danced one evening after dark on the porch of one of the largest houses of the Pine Mountain School with only one dim lantern to light up the scene. But the moon streamed fitfully in lighting up the mountain peaks in the background and, casting its mysterious light over the proceedings, seemed to exaggerate the wildness and the break-neck speed of the dancers as they whirled through the mazes of the dance. There was no music, only the stamping and clapping of the onlookers, but when one of the emotional crises of the dance was reached… the air seemed literally to pulsate with the rhythm of the “patters” and the tramp of the dancers’ feet, while, over and above it all, penetrating through the din, floated the even, falsetto tones of the Caller, calmly and unexcitedly reciting his directions. Pine Mountain and Hindman Settlement Schools, both in Kentucky, had always encouraged the singing of ballads and as a result a wealth of songs were collected. 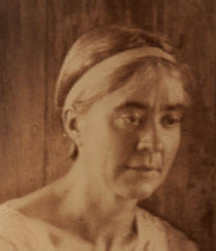 This was the life of Marguerite Butler when she first met John C. Campbell at an annual meeting of the Conference of Southern Mountain Workers as it was then known in 1919. She had been asked to tell of her work with these eleven widely scattered little schools. 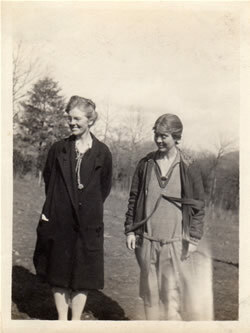 At that time such a cooperative project was unique—someone from an independent school cooperating with the county system. 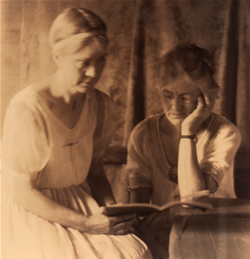 So it was that Marguerite Butler was asked to join Olive Campbell in a study of the Folk Schools of Denmark – a study Mr. and Mrs. Campbell had hoped to make in 1914. World War I prevented this and then before conditions were normal in Europe, Mr. Campbell died very suddenly in 1919. They spent a year in Scandinavia, followed by two months in England and Ireland to see something of the adult education movement there. It was while living at the various Danish Folk Schools that Marguerite first became acquainted with the lively folk dances. This opportunity to see and learn the various dances and singing games has enabled her to make an outstanding and valuable contribution to the recreation movement in the Southern Highlands. Many of our American square figures are common in the Danish dance. 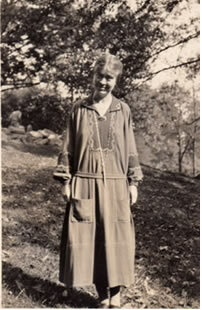 This was the background which Marguerite Butler brought to the John C. Campbell Folk School when it was established in 1925. For these forty years she has shared her wealth of experience as an administrator and teacher, her love of the folk ways and dances, and has steadfastly maintained her confidence and respect for the stalwart character of the people of Appalachia. Used with permission of the John C. Campbell Folk School.